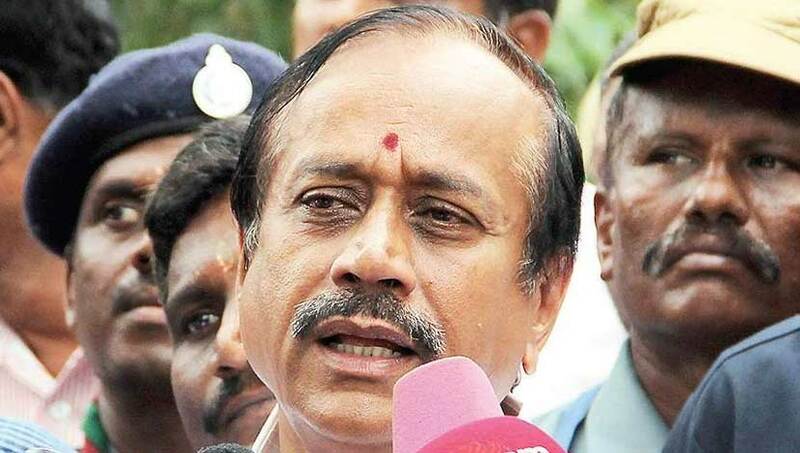 Chennai : The Madras High Court on Monday started contempt proceedings against BJP National Secretary H.Raja on for his alleged derogatory remarks against the judiciary. Raja allegedly made derogatory remarks against the judiciary when he got into a heated argument with police in Pudukottai district on Saturday. The arguments took place when Ganesh idol procession was stopped citing court orders. The court Issued notice to Raja to appear before the court in four weeks. The Pudukkottai police booked Raja on Saturday under various provisions of Indian Penal Code (IPC). The BJP leader denied the allegations that he had made derogatory remarks about judiciary. He said that his voice in the video clip was as doctored and added that there was a false propaganda against him.